Her name is synonymous with the art of cooking. Yet few know the richly varied private life of the legendary Julia Child. Go beyond the kitchen to discover a truly American icon in Appetite for Life. Before Gabrielle Hamilton opened her acclaimed New York restaurant Prune, she spent twenty fierce, hard-living years trying to find purpose and meaning in her life. Above all she sought family, particularly the thrill and the magnificence of the one from her childhood that, in her adult years, eluded her. Hamilton’s ease and comfort in a kitchen were instilled in her at an early age when her parents hosted grand parties, often for more than one hundred friends and neighbors. Craig was the last person anyone would have expected to open an American diner in Paris. He came from humble beginnings in a working-class town in Connecticut, had never worked in a restaurant, and didn't know anything about starting a brand-new business. But from his first visit to Paris, Craig knew he had found the city of his dreams. Pancakes in Paris is the story of Craig tackling the impossible - from raising the money to fund his dream to tracking down international suppliers for "exotic" American ingredients, and even finding love along the way. 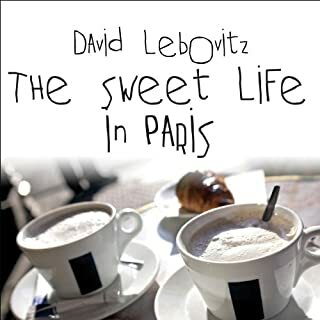 A beautful and fun book about Paris Life. Ruhlman propels himself and his readers through a score of kitchens and classrooms, from Asian and American regional cuisines to lunch cookery and even table waiting, in search of the elusive, unnamable elements of great cooking. In her own words, here is the captivating story of Julia Child's years in France, where she fell in love with French food and found "her true calling". From the moment the ship docked in Le Havre in the fall of 1948 and Julia watched the well-muscled stevedores unloading the cargo to the first perfectly soigne meal that she and her husband, Paul, savored in Rouen en route to Paris, where he was to work for the USIS, Julia had an awakening that changed her life. Soon this tall, outspoken gal from Pasadena, California, who didn't speak a word of French and knew nothing about the country, was steeped in the language, chatting with purveyors in the local markets, and enrolled in the Cordon Bleu. This memoir is laced with wonderful stories about the French character, particularly in the world of food, and the way of life that Julia embraced so wholeheartedly. Above all, she reveals the kind of spirit and determination, the sheer love of cooking, and the drive to share that with her fellow Americans that made her the extraordinary success she became. Le voici. Et bon appetit! I listened to this book on a trip through Avignon and Paris and it was wonderful. What an addition to our travels by TGV south from Paris. The reader was a delight and more than up to the challenges of the french language and all the culinary terms. Julia's take on the world a breath of fresh air. I was sorry when the book came to and end. However, to compensate I have pulled out my dog-eared copies of "mastering the art" and jumped back into cooking a la Julia! Brava Audible! This audiobook was a wonderful escape from my dreary December into the bright, lively world of post-war France. 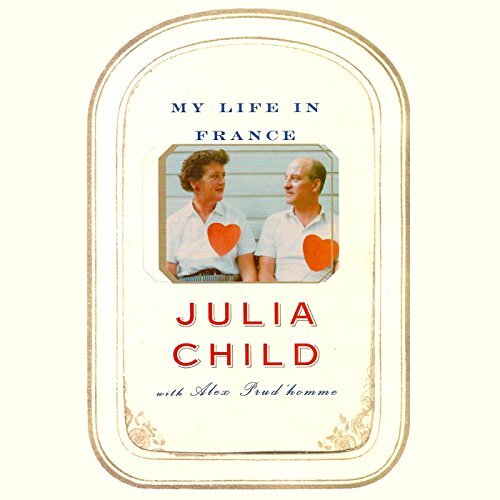 Julia Child writes with vivid and loving detail of her years in Paris and Marseilles with her beloved husband, chronicling her education as a cook, her friendships, the writing of "Mastering the Art of French Cooking," and her many adventures in the shops, markets, and kitchens of Paris. Delightful! This book is as charming as Julia herself. Her voice comes through clearly, and although she was never unkind, she did not shy away from expressing her frustrations with certain people and situations in her life. It's an account of how her interest in food and cooking developed, and how she came to take the path she took. She and Paul saved letters, so the book is rich with authentic detail about the events of their lives. My only regret is that now that I've finished it, I can never come to it again to listen for the first time. It made me feel much closer to a woman I've never met, but miss terribly. OK, the reader's French isn't perfect, but if you know some French you can tell what she's aiming for and if you don't ... well then who cares! More importantly, she pulls everything else off with a beautiful, lively performance. The book conveys a nice sense of Julia Childs' personality, her experience learning to cook in a country she's crazy about, and some sense of the zeitgeist during the late forties and fifties. I almost didn't buy this unabridged version of My LIfe in France because of all the negative comments in the reviews about the the narrator's horrible French pronunciation - said to be too distracting. Well that is just foolishness and perhaps down right snobbishness as well - Ms. Farr does a serviceable job with the French pronunciation and it's certainly not distracting. The book so far is an absolute delight and I highly recommend it. 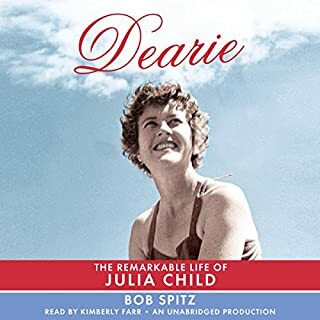 Ms. Greenberg who narrates the Abridged version sounds very good as well and may indeed do better with the French but I did not want to miss a word of Julia's fascinating and wonderful life story. Enjoy! Julia Child has always been a paragon of culinary talent, and those of us who bought her first volumes learned quickly that there was a great chasm between reading one of her recipes and turning it into the great creations she made so effortlessly. It was easy to suspect that there was some ingredient missing, and this book finally identifies it: Julia herself. In the telling of her life story, she describes those missing ingredients: an insatiable curiosity and continuing desire to learn, her incredible capacity for hard work, her ability to make friends on all levels, and the close partnership she enjoyed with her husband. Despite her many years on television, Julia Child was always a private person; in this book, knowing clearly it would be her last, she finally speaks -- often with great candor -- of the close relationships that shaped her life: her husband, her father, her sister, her colleagues Simone Beck and James Beard, and her many friends. The insights she provides into a life in the foreign service are fascinating. Her recounting of the writing of her first volume of Mastering the Art of French Cooking makes one appreciate far better the monumental result. Her many years on television are described with humor and modesty. The writing is generally well-done -- the book skips around a bit at times and feels a bit unbalanced considering the scope. The narrator works hard to speak very clearly and to speak French with a fine accent -- she succeeds but at the same time keeps you always aware that she is working hard to do so. But these are only minor problems. For what the volume accomplishes, it deserves high points, for it provides an insight into the humanity of someone who for many of us has been a legend in her own lifetime. Merci! I am not a cook. Julia wouldn't approve of anything culinary in my life and home. Yet I whole heartedly approve of this book and feel previledged to have through this book met Julia Child. The story seemed slow at first but slowly I was hooked and very touched by her authenticity and life. Julia Child, more than probably anyone, changed the face of eating in America. Her story in her own words of how she went from a expatriate housewife, to one of the leading voices of eating well in the world. A great read. Intoxicating! 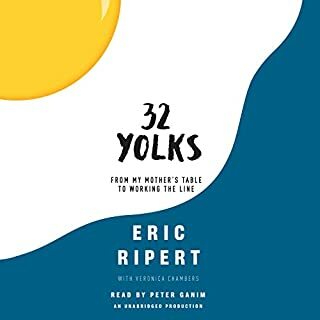 This book gave me a much better understanding of Julia Child's background and how she developed her expertise in cooking. I had always been aware of Julia as an American, and now I realize how thoroughly she was involved with France and French cooking. 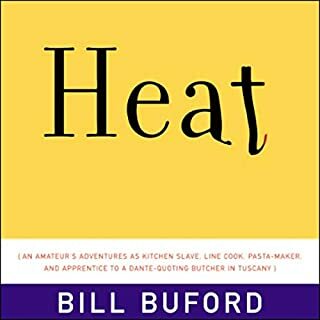 The book also gives a very interesting account of the development of their cookbook and how the push to be a celebrity chef was already happening in the 1970's before the Food Channel! I agree with the previous reviewer that the narrator's french was not always pronounced properly, but I found the narration pleasant and easy to listen to. I would highly recommend this book to foodies and francophiles. ...as mentioned in other reviews, and I almost feel sorry for the narrator, she is not a French speaker, but tries. I cringed most at ca y'est pronounced as "ca y'esT". Yikes. It's still worth it, though. And other than the French, she's actually quite pleasant. The story is second to none if you love Julia Child. I'm grateful she lived long enough to finish the project. It's a gem. This has been on my to-read list for a while, and I'm so glad I picked it up. The narrator is wonderful, and just about every chapter made me hungry. It's one of the few novels I actually might leave on my phone, even though I've completed it. I keep getting the urge to re-listen to bits of it when I'm puttering around my kitchen and attempting to make something half as fantastic as Julia Child's dishes. It's one of those books I got completely absorbed in, which is rare for me with nonfiction. It's funny and sweet and made me want to book a holiday to France as soon as possible. Oh, and a word of advice: if you're using Audible for Android, make sure you download the book as two parts. For some reason the download failed when I tried to download it as one part, and the customer service rep I spoke to had the same issue when trying to replicate the problem. I almost had to have it refunded since I couldn't get it onto my phone. The two-part download worked fine, though, so I was happy in the end. Wonderful story of the making of a culinary classic and masterpiece. Ordered a copy of both of Julia Child's books as soon as I'd finished this. Beautifully narrated by Kimberley Farr - but oh the DREADFUL pronunciation of many French words and place names! Why do narrators not check with someone who speaks the language before they embark on reading? Ms Farr is far from the only culprit in this. This book transported me to the streets of Paris and compelled me to devour her cook books. The story of her life is captivating, as is her food! I couldn't leave this alone! Sent Me Back To My Cook Book! 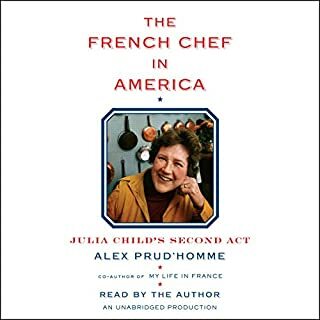 This book focuses on Julia Child's life from the time that she moved to Paris with her husband; the rest of her life (childhood, and to an extent, life in old age) is dealt with in efficient and brief summaries which is good because this leaves us with the most interesting bits: what drove her to become obsessively interested in French cooking, and the journey that took her on. Clearly, Julia always led a fairly charmed and comfortable life. She had the leisure and money to explore what began as a hobby and became an all-encompassing passion. I very much enjoyed the matter-of-fact approach (it was really written by her relation, Alex Prud'Homme) because I think that reflects what comes across of her character. She is conveyed as an amusing woman, clever, driven, very out-going - but rather cold in some ways and not always 'kind' about people. 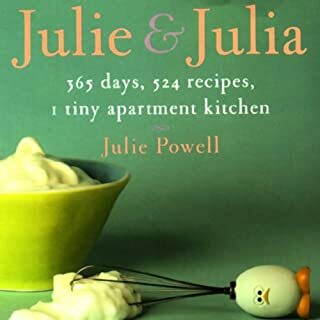 The narration was just about alright and I think the performance captured Julia's character - rather braying and clipped; but some of the pronunciation was odd, for example culinary is always pronounced queue-linary and it started to get on my nerves. What the listen did do, was send me back to my Julia Child book and explore some more of its incredibly varied and detailed contents.